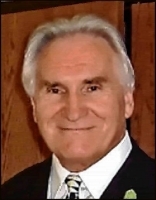 "Eternal Rest John, you were ALWAYS such a kind, helpful..."
"You will always be in our hearts and greatly missed John..."
Valerio John Fermelia of Vancouver, WA died Oct. 9, 2018 in his home. He was born in Hanna, WY on July 6, 1937, the oldest son of John and Annie Fermelia and grew up in Rock Springs, WY. John attended various universities and was also an Army Veteran. For most of his life, he lived on the East Coast and while working he met and married Linda Wallace Fermelia. They spent their 43 years of marriage in places like Chicago and Virginia Beach. After John retired in 2001, he and Linda moved to Vancouver to be closer to his aging mother and family. John is survived by his brother, Arthur (Ruth) Fermelia of Rock Springs, WY; sister, Anita (Gary) Laing of Clatskanie, OR; two nephews, three nieces and many great-nieces and nephews. A memorial service will be held for John on Oct. 25, 2018 at 12:00 p.m. at Holy Redeemer Church, 17010 NE 9th St., Vancouver, WA 98684. Family and friends are encouraged to attend and sign the online guest book. If you would like to make a donation, John was fond of The Humane Society and The Vancouver Food Bank.